Nothing beats humiliating an opponent with the ultimate finishing move after a round of Mortal Kombat. 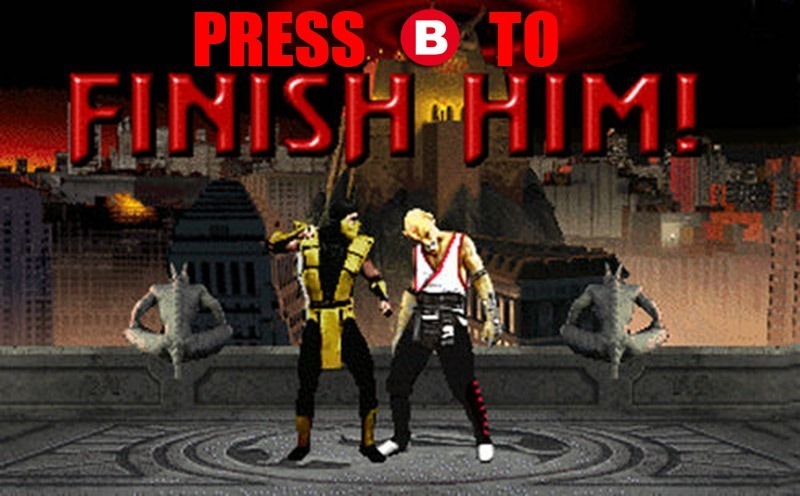 Fatalities have been a regular feature in Mortal Kombat ever since the controversy-courting first game hit arcades. You’re not only killing your opponent, you’re killing them with style, with finishers ranging from simple decapitations to elaborate displays of Ginsu-bladed hats vivisecting an opponent. Some fatalities have been as hard as nails to perform however. Something which Mortal Kombat X will be fixing. Now, we’ve learned through years and years of study that there are a lot of people who just can’t pull off Fatalities, or they get freaked out or they can’t figure out the timing. […] So when the game launches, you’ll have a couple of those–maybe three of them–day one. You’ll have those just to use and do easy Fatalities on. There are certain places you can unlock those and things like that. So you’ll always have access to easy Fatalities–if you want to use them. I…like it. Make no mistake, there’s something about knowing all of the Fatalities needed for any character, off by heart. But for me, doing so usually involves deleting a memory center from my brain, usually the one attached to sound purchases and wise investments.. Cutting down on the button combos, by choice, sounds like fun to me. Especially if I want to gross out family members in a hurry.